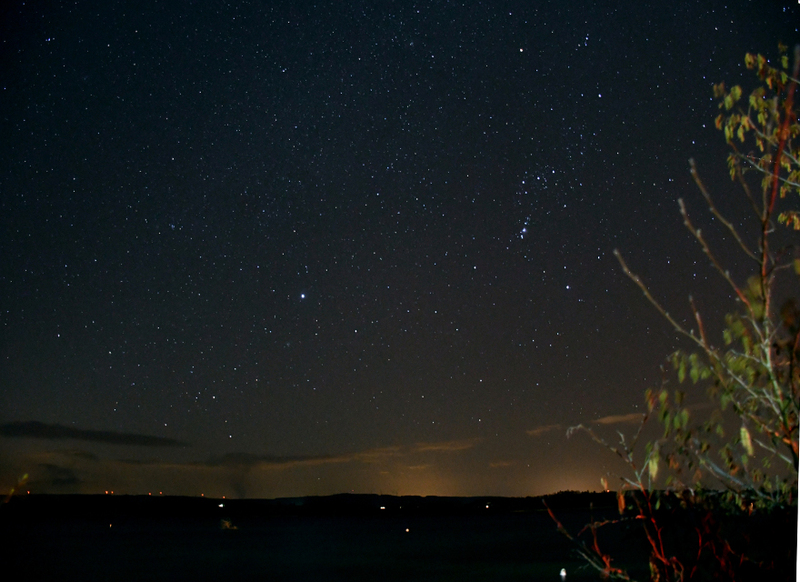 On a crisp cold March night, looking south across the lake the distinctive constellation Orion dominates the sky. 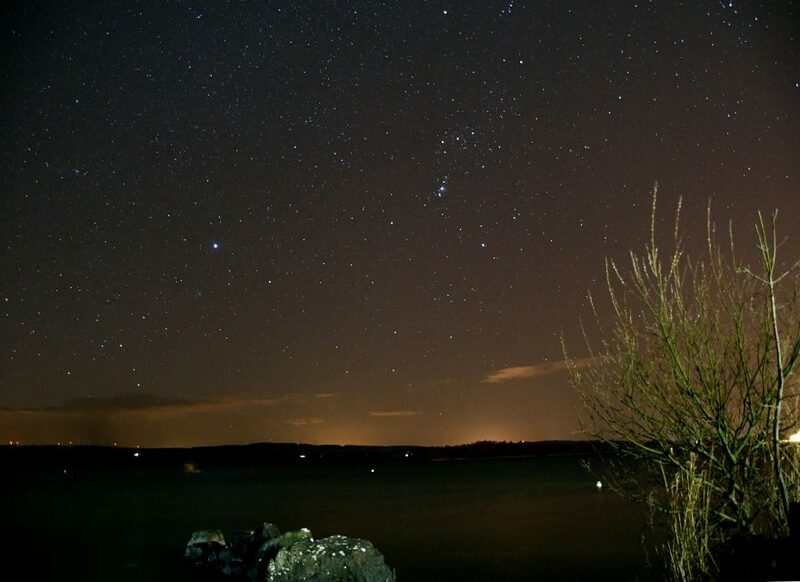 Orion, also known in old Irish mythology known as Nuadu of the Silver Hand. Nuada was the first king of the Tuatha Dé Danann – also god of the sea, healing, and warfare, linked to the Roman gods Mars and Neptune, and also the Norse god Týr/Tir. He is also associated with the sun, youth, beauty, writing, sorcery and magic. Nuada is associated with the Invincible Sword, the Sword of Light, one of the Four Treasures of the Tuatha Dé Danann. 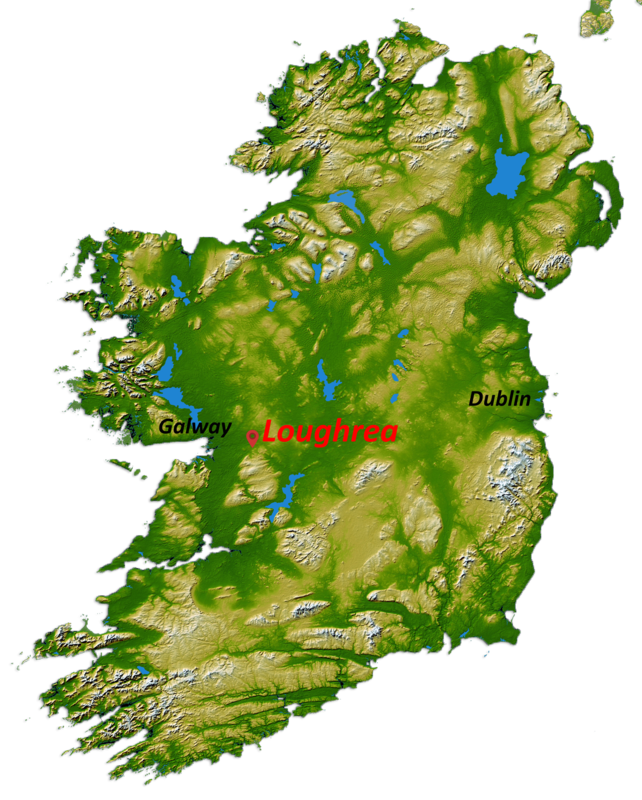 It was crafted by the poet (fili) and wizard Uiscias/Uscias in Findias, one of the ancient great cities of the Tuatha Dé Danann. The sword was thought to only inflict mortal blows when drawn, cleaving its enemies in half. The constellation Orion has three faint stars where the sword is depicted. Orion is one of the few constellations to have parallel identities in European and Chinese culture, given the name Shen, the hunter and warrior.